After patience, many things in life can appear that greatly take care of the fundamental needs of all. For example in Hadiabad, Bihar, the toilet of the high school was not functioning because there was no water delivery system there. Amrita SeRVe provided a four metre long pipe which is now connected to the nearest hand pump. As a result, it can be used to supply and store the water needed. 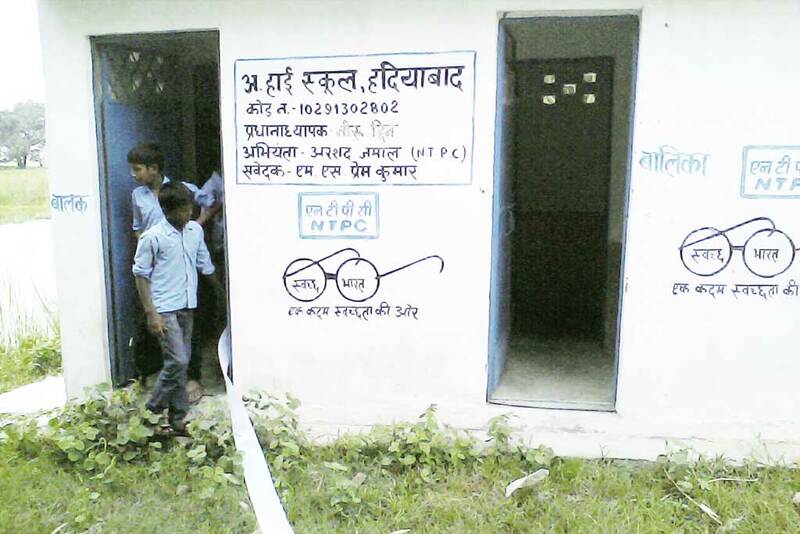 In order to do seva to maintain the facilities, kids take turns in cleaning the toilet every day. Now girls don’t have to go all the way home to use the toilet and boys don’t defecate in open around the school.